No matter where in the world you happen to be, the basic recipe for how to book a skydive is the same. First, you’ll need an airstrip. Then you add a plane. Pitch in a few parachutes, stir in some staff, pile up a heap of paperwork and you’ve got yourself a dropzone. The cuisine is different from culture to culture, but the pantry contents are hardly very different. That said: no two dropzones on the planet are exactly the same. Some operations are easy-as-pie to differentiate from a quick surface glance. Some stand apart far more subtly. The heart of the matter, though, is that these differences account for a lot — and they have a direct impact on your experience as a tandem skydiver. When you’re looking for the best skydiving dropzone near you, you’ll need this checklist to help navigate the offers. Well, duh. Right? Unfortunately, searching for the best local dropzone to book a skydive is nowhere near as simple as looking for, say, a nearby place to get a good haircut. If you Google “hair salon,” you can look at the average reviews, choose one, make an appointment and drive right over. You wouldn’t expect to arrive at the hair salon’s address and find an empty warehouse… or be forced to pay for your haircut before you’re told where the actual hair salon is located. And then drive hundreds of miles to discover that the hair salon won’t take the “voucher” you were issued over the phone. Unfortunately, fake skydiving dropzones are a thing — and that impossible-seeming hair salon nightmare is the kind of BS that they’ve made into their own, foul little mini-industry. Third-party booking agencies have spent a lot of time and money to create websites that look for all the world like skydiving dropzones — but they require customers to call a 1-800 number. On that call, they scalp the naive would-be skydiver, add a colossal markup and often send them on a wild goose chase as they try to redeem an often valueless “voucher.” It’s not just skydiving, either. They take advantage of unsuspecting adventurists looking for hot air balloon rides and scenic flights as well. We’ve been trying to stop it for decades, but the evildoers keep popping back up with new 1-800 numbers every time they’re cut down, like a hungry, hungry hydra of ill-gotten gains. It makes us hissing mad. 2. Use The Handy USPA Dropzone Locator! Luckily, it’s pretty easy to avoid being a mark. First, make sure the dropzone website you’re on gives a physical street address that corresponds to an actual airport in that area. (Third-party bookers never have an airport address.) Secondly, make sure that the number on the website doesn’t send you to a call center. If you have to tell them where you’re located, it’s a third-party booker. Hang up. Here’s another hot tip for booking your skydive: There’s an even better way to search for a dropzone than Google: the USPA Drop Zone Locator. Choose a member dropzone of the USPA — the United States Parachute Association — because USPA members are the good guys. USPA member dropzones pledge to follow the stringent operational guidelines set forth by the organization. As such, they don’t self-regulate, as non-member dropzones do. Instead, their equipment, skydiving staff and aircraft are all held to the USPA standards of safety, licensing and maintenance. The best part is that there are a lot of USPA member dropzones, because most of us in this business are very passionate about the sport and deeply invested in keeping it as safe as possible. There’s got to be one near you! This is what a well-run, well-organized dropzone should look like (yupp, it’s ours). Shopping for a sweater and shopping for a skydive need to come from a very different logical-emotional basis. Right? Skydiving safety is better now than it has ever before been in the history of time, but it’s still a risk–and you want to stack the deck as favorably as possible. 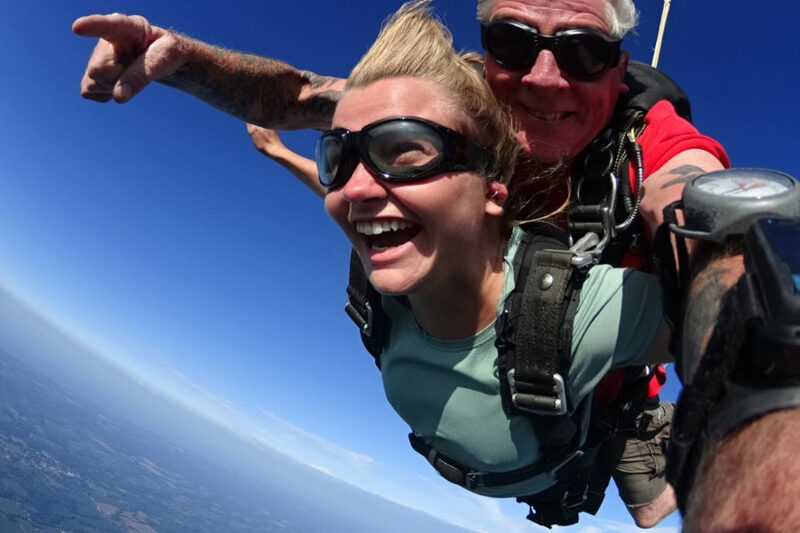 Depending on your local market, the price range you’ll see for a tandem skydive is discombobulating. You can expect it to be — well — all over the map. As our favorite gentlewoman scientist Goldilocks discovered through her extensive research, the pricing in the middle is the most likely to be juuuust right. Why? Well: If the website you’re looking at lists the cost to book a skydive at $300 or so, you’re almost certainly looking at an inflated third-party price (as we ranted about a few paragraphs ago.) If the price is at the other end of the spectrum, beware. Beware. Be a very wary bear. You’re going to get what you pay for. Safety in aviation is expensive stuff. If the dropzone is skimping on the safety stuff (aircraft and equipment maintenance, instructor quality, etc.) and passing those savings on, you might be in for a yucky ride. This skydiver had a great experience. 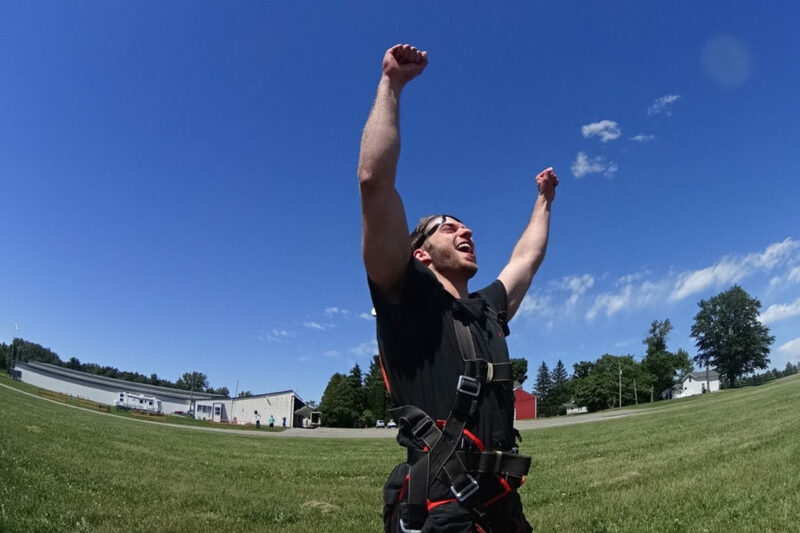 He read our article about how to successfully book a skydive first. An uninformed gut, of course, is not a decision-making tool, so do what you can to ingest the full scope of available information. Read the reviews. Call the dropzone and talk to someone about your questions and concerns. (Any reputable dropzone will be happy to.) Visit the dropzone before you even book your skydive. Once you’ve done that background work, you can feel confident in letting your instincts lead you. When you’re dealing with professional, empathic people who place safety and customer service at the top of their priority list, you know it. When you’re not, it’s just as obvious. 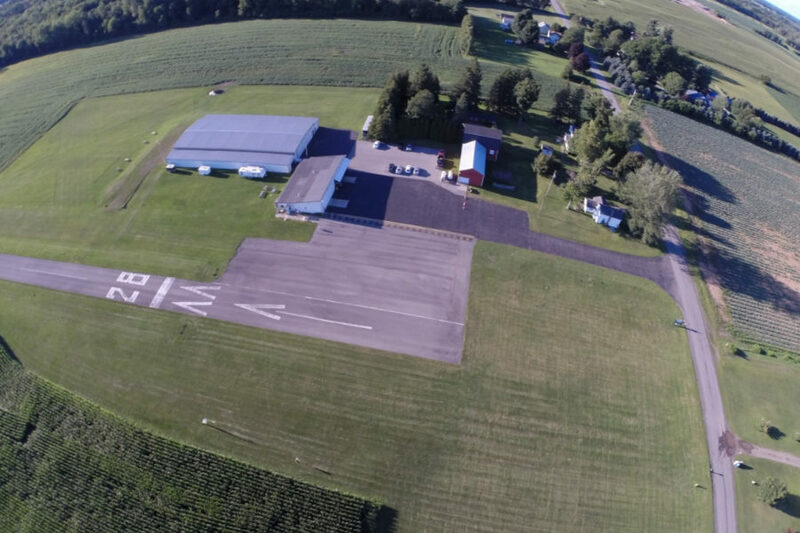 We hope your instincts lead you straight to WNY Skydiving. We’re waiting to welcome you into the sky!